Building a dream house and maintaining it can be very challenging. Do you want to see that your dream is crumbling owing to water seepage from the roof and cracks developing on the walls due to clogged gutters? Well, you need to do gutter cleaning at least twice a year to save your dream home from water and other blockages. One can appoint a professional for the job, but gutter cleaning can be done without any professional help. If you have any blockages in the gutters or drainage system, then you need to hire the trained professional. As the seasons change, it is important to take the opportunity to inspect the condition of your home and to complete various tasks. There are many tasks that must be completed seasonally for the optimal care of your home, and you may consider adding them to your calendar so that you do not overlook them from season to season. These are some of the more critical seasonal home maintenance tasks that you should complete regularly. Looking for a new DIY project? Here are a few projects that can save you money all while teaching you a new skill! With roofs being any building’s primary defense against the elements, it is imperative they be able to withstand extreme heat, strong winds, heavy rains, punishing snow and severe hail. 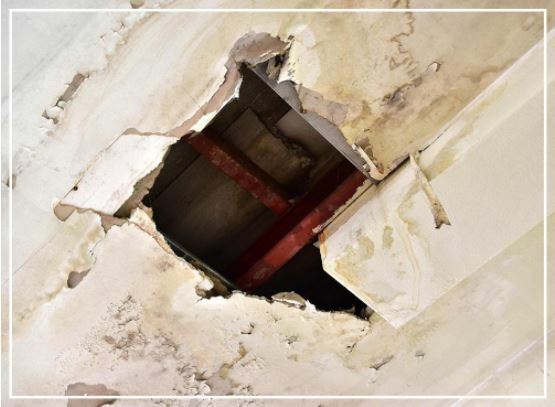 However, as they are constantly exposed to one or more of these destructive forces every single day, roofs can become susceptible to different kinds of damage. Unfortunately, you can’t stop the sun from shining, the wind from blowing and the rain, snow and hail from pouring. What you can do, however, is to make sure that your roof is in good condition; the first step of which entails having regular and proper maintenance done on your system. Why Is Commercial Roof Maintenance Important? Roofing maintenance is primarily carried out to spot potential issues, allowing commercial property owners and managers to take action before they get worse. This not only simplifies repairs because issues to be addressed are smaller, but will also help lower costs with less work needing to be done. Maintenance work will be an additional expense for you, but it can actually help you save down the line by keeping more extensive repairs, and even roof replacement, at bay. Not to mention that you’ll be making the most of your current roofing system’s service life. MOISTURE PROBLEM: Moisture exposure not only leads to mold and mildew growth, but can also weaken structures over time. 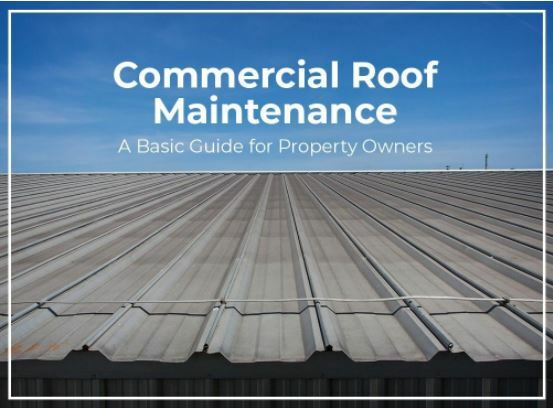 Commercial roof maintenance may be a bit more complicated and demanding compared to what residential properties require due to several factors. For one, the roof of a building is typically bigger than that of a house. Commercial roofing systems and materials also differ from what are typically installed on homes. Roofing jobs on commercial properties may also need to be performed while business is ongoing, unlike in homes where the inhabitants can simply leave for a while to avoid being inconvenienced. The first step? Developing a maintenance plan. Years of building or property management will give an idea of the basics, but you need a thorough plan for roofing maintenance to be effective. So, you’re going to require the assistance and expertise of a commercial roofer. Roofing contractors are particularly experienced in crafting maintenance plans for commercial roofs, so they’ll be able to provide you with what you need to keep your roofing system in good shape. What’s in a Good Commercial Roof Maintenance Plan? A maintenance plan has two basic components: inspection and repairs. An inspection is a means of evaluating a roof’s condition and checking for any signs of problems. Through it, a roofer will be able to determine if something needs repairing. 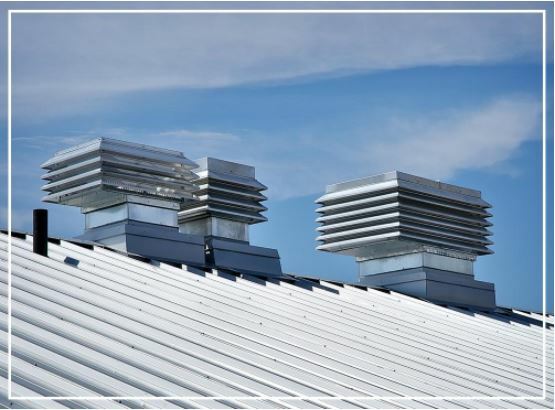 ROOF PENETRATIONS AND FIXTURES: Seals around skylights, AC units and vents, along with other items attached or installed on the roof, must be checked during roof inspections. After an inspection, your roofer will provide you with a detailed report of their findings along with their recommendations should repairs be required. Roof repairs have to be planned to ensure that the most pressing issues are prioritized first, keeping business interruptions to a minimum. By having minor roof problems repaired as soon as possible, you can prevent them from growing and getting worse, avoiding premature roof replacement. 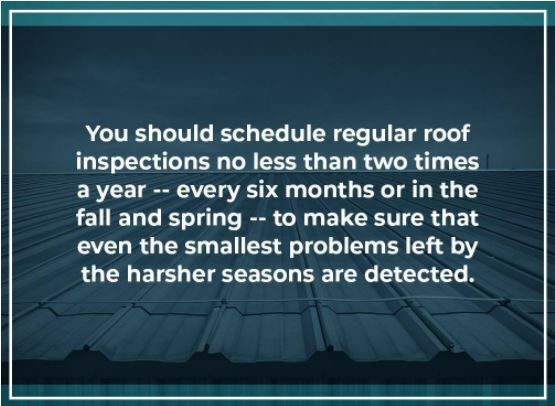 You should schedule regular roof inspections no less than two times a year – every six months or in the fall and spring – to make sure that even the smallest problems left by the harsher seasons are detected. Inspections must also be performed after a hurricane or severe windstorm, with frequency increasing as your roof ages. Furthermore, if your rooftop gets foot traffic, it may require more checks from your roofer. Ask to see a copy of their license and business permits. Ask for proof of insurance and bonds, making sure they offer liability and workers’ compensation coverage. Ask for a list of references you can call to verify the roofer’s performance. Ask about the materials and products they use and in which they specialize. Ask about warranties and guarantees. PROACTIVE VS. REACTIVE: Do not wait for any of your tenants or clients to complain of a leaky roof before you prioritize roof maintenance. If you want any of your belongings to last, you need to take care of them. The same goes for the roof that protects your business and assets. Not considering subscribing to a roof maintenance program could be one of the biggest mistakes you could do as a commercial building owner or facility manager. 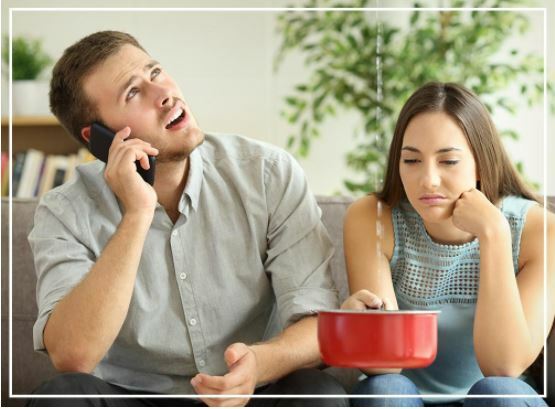 Roof maintenance may not seem like a big deal so long as the roof is not leaking, but when it does, it may already be too late. So, if you have not yet developed a roof maintenance plan, now is the time to look for a good commercial roofer in your area. Mike Curcio co-owns and founded CMS Roofing. With more than two decades of personal experience in the roofing industry, he shares the knowledge that he has acquired over the years through the company blog. Check it out for updates from Mike! After a long difficult winter season, your automobile may look like a mess on the inside and outside. Not only does a vehicle receive contamination from snow and ice on the exterior, but also, you may not clean the interior of the vehicle for several months. As soon as spring arrives, you should begin to clean your vehicle to protect its paint and upholstery. Use these pointers to have a vehicle that looks beautiful. Washing your vehicle on the first warm spring day is essential for your vehicle. This cleaning process will remove road salt, tar and grime from the painted and metal surfaces. If you leave dirt on your vehicle, then the metal, glass and paint are degraded by the chemicals, leading to rust and other problems.